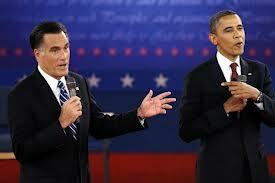 The President won this debate but he will not get the boost former Governor Mitt Romney did in the first one. What he did do is stop his negative slide in the polls. Unlike the first debate, he was aggressive, confident, assertive and very presidential. But he and Romney were rude, cutting each other off repeatedly. The President did a good job talking about his record and the future. Unfortunately, we are no closer than we were before the debate of knowing Romney’s plan. What we learned last night is the President can land good one-liners or zingers, and Romney who zinged himself, never looked confident, like he did in the first debate. His aggressive style made him look disconnected and he was defensive much of the night. Romney said he had a five point plan, the President said it’s a one point plan that provides tax cuts to the top 1%. When Romney defended his position on letting the auto industry go bankrupt, the President was effective countering that Romney’s model without providing bailout money would have cost a million jobs. On women and immigration issues, Romney faltered. Today, his clumsy reference of having a binder full of women to fill cabinet posts as Governor is one of the most searched items on the internet. But Governor Romney’s worst gaffe of the night was when he accused the President of failing for fourteen days to refer to the Benghazi embassy attack as an “act of terror”. The President, poised and confident, said “You can continue”, as if Romney was standing over a trap door. Candy Crawley, the best moderator by far of this year’s presidential debates, corrected Romney saying the President did say it was an “act of terror” the day after the attack. And the President followed with “Check the transcript.” as if he was releasing the trap door beneath Romney’s feet. To make matters worse, there’s Romney’s final answer. After losing ground in the polls before the first debate because of his 47% comment, he said last night that he wants to be President for 100% of Americans. The President used that comment to land his last zing of the night. We may soon see an “I’m Barack Obama and I approve this message” commercial with the clip in it. WIth one more debate remaining don’t expect the poll numbers to move much. Then again, there are two things to watch that could affect the election. If we respond to the Benghazi embassy attack and the data from the November Jobs Report due out four days before the election. So now we wait. I thought the President was very dignified in his handling of Romney’s incorrect accusation about the embassy attack. He could have responded with arrogance or a gotcha attitude. Instead, he simply said “Check the record.” I think “Check the record” pretty much sums up everything we need to know about Romney: What he says doesn’t gel with what the record shows.